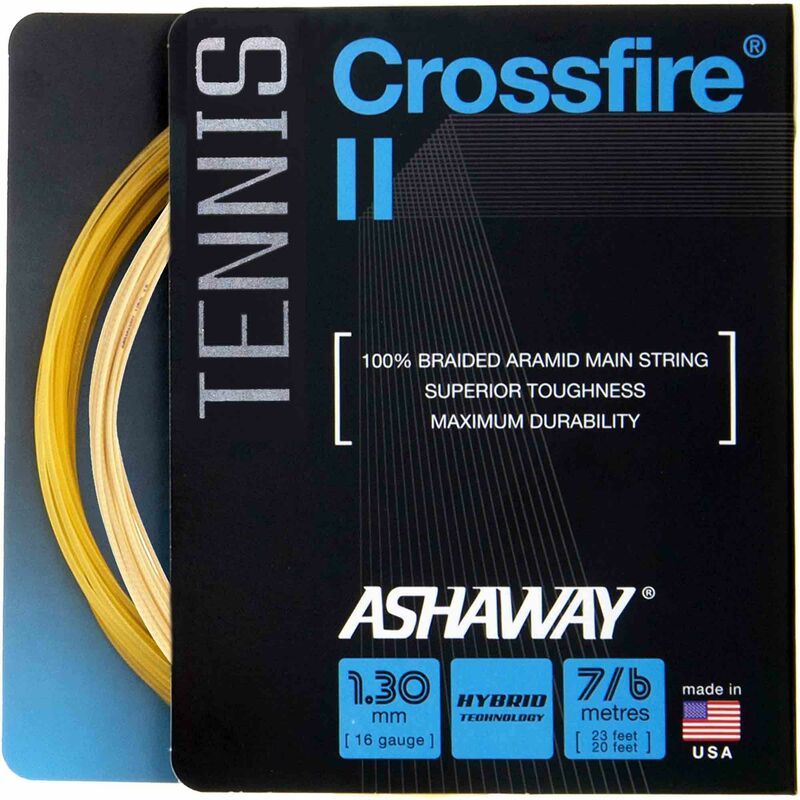 The Ashaway CrossFire II tennis string is a hybrid string that utilises aramid for the main strings and synthetic gut for the cross strings. Thanks to this combination of the materials the string features superior durability and playability. The string provides a firm stringing bed for ball control and the braided aramid mains ensure excellent spin. It is recommended for top amateur and professional players with chronic string breakage problems. The string has a 1.30mm gauge and is supplied as a set that is 12m long (39.4ft). for submitting product information about Ashaway CrossFire II Tennis String - 12m Set We aim to answer all questions within 2-3 days. for submitting product information about Ashaway CrossFire II Tennis String - 12m Set. We aim to answer all questions within 2-3 days. If you provided your name and email address, we will email you as soon as the answer is published. for submitting product review about Ashaway CrossFire II Tennis String - 12m Set.